A new season ! 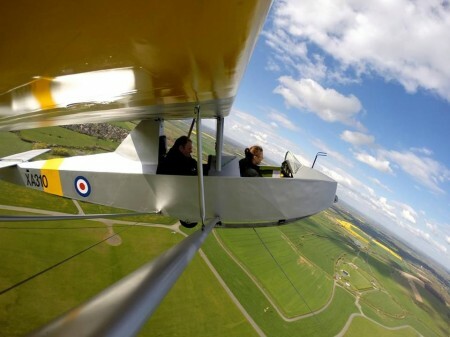 Airborne again ! 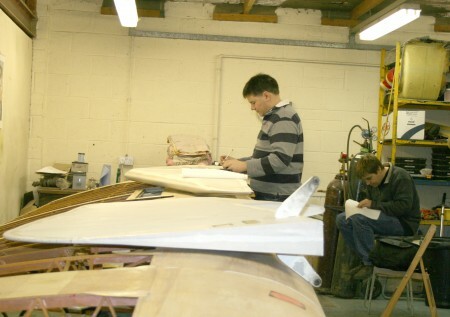 A small group braved the heavy showers yesterday and our new season has started. 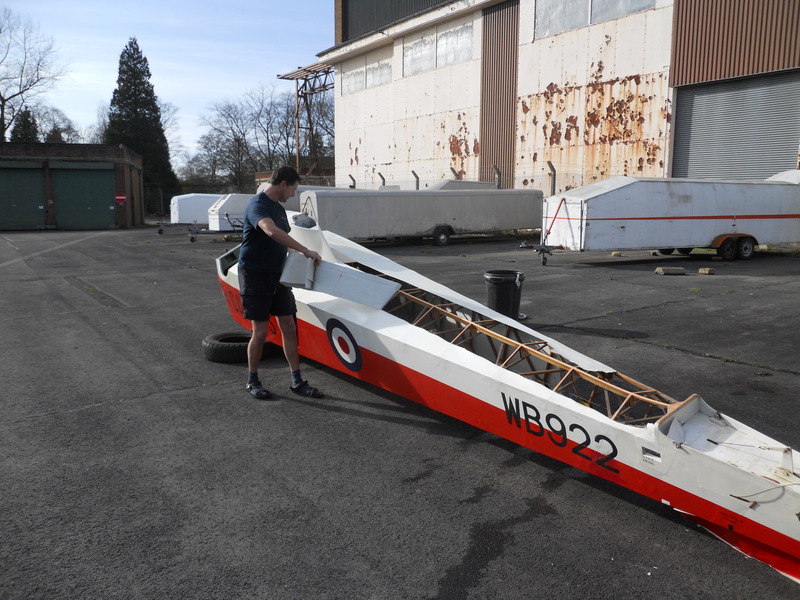 Fortunately the not forecast 180 wind allowed rapid retrieves to the hanger to protect the Sedbergh from torrential downpours. 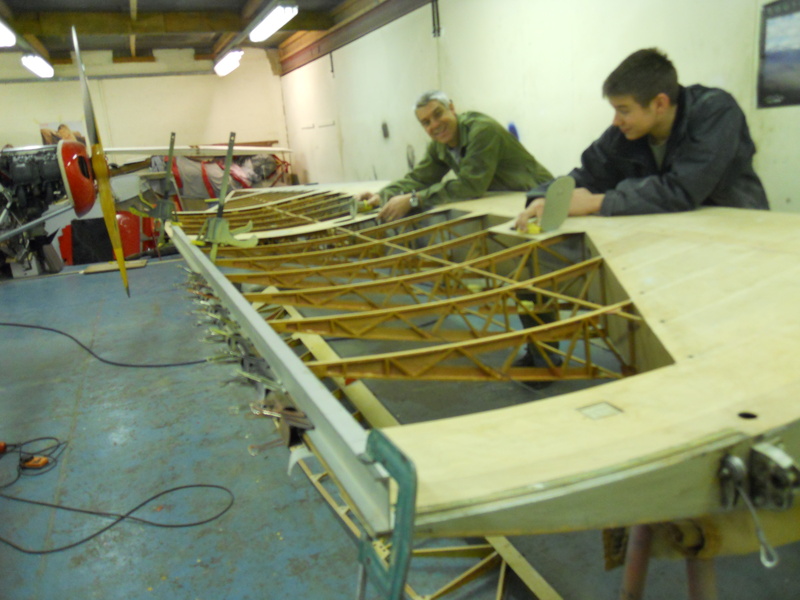 Everybody had a couple of flights and all agree the Sedbergh is flying beautifully. 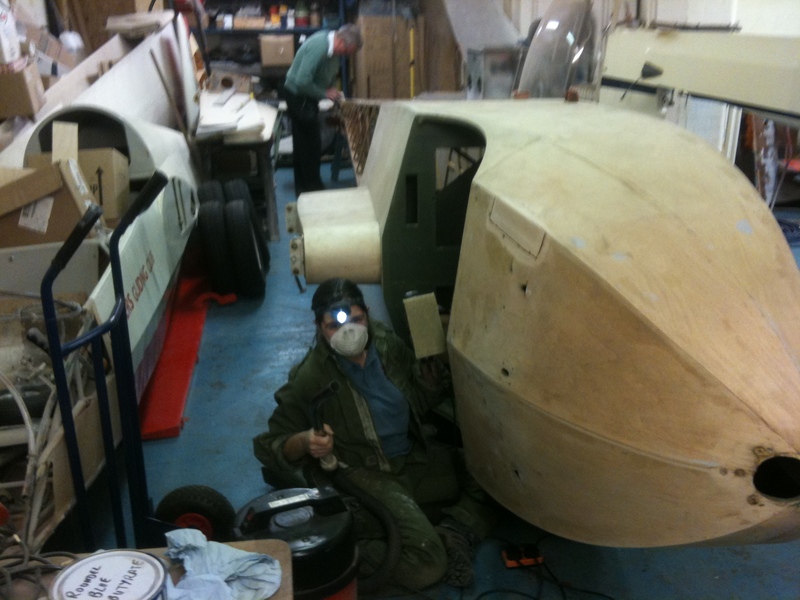 At the pub after it was decided to rest the MKIII this year and put the Swallow, Prefect and Grasshopper on 3rd party insurance. 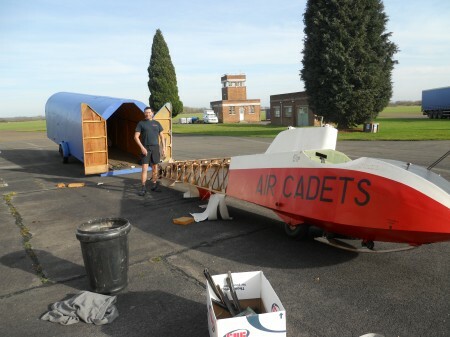 Hopefully throughout the summer Al’s restored Cadet MKII will make an appearance. 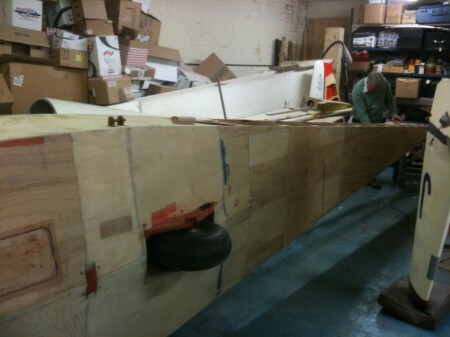 We will be flying again next Friday. 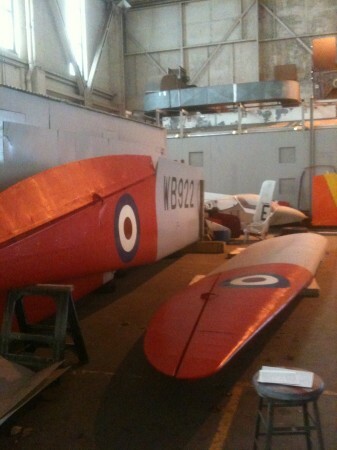 At present both the Sedberth and Swallow are airworthy. 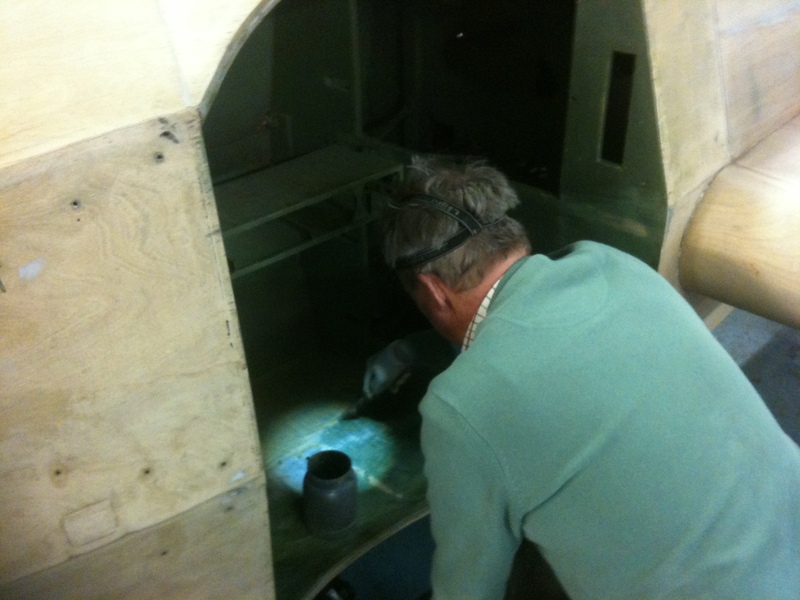 Another Grasshopper has found its way into the hangar. 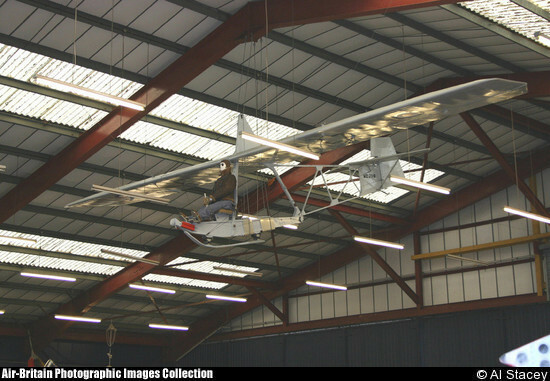 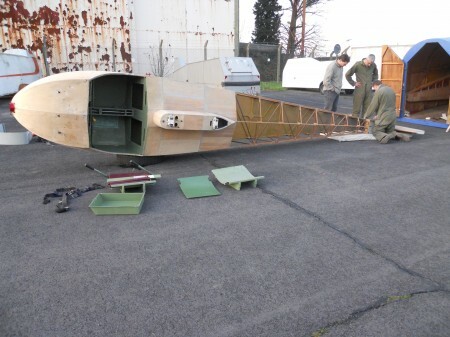 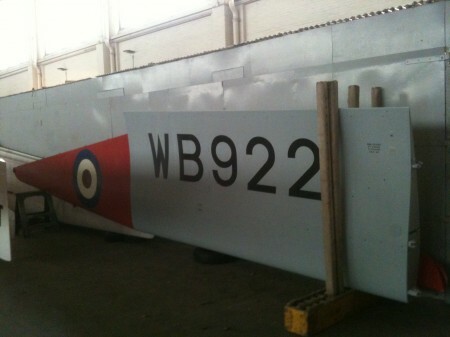 WZ798 has been rescued from storage at the Bournemouth Aviation Museum and it has been permanently loaned to the Al Stacey collection. It will be stored for a short time with the Historic Flight whereby it will be assessed if it can be returned to airworthy status. John and myself were at Biscester on Friday. 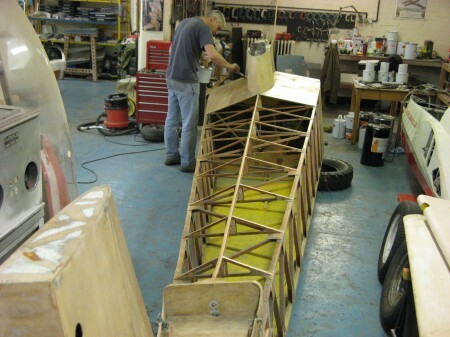 We moved some of the aircraft Dave has and will be working on around and assisted in rigged a Ventus 2c, very nice aircraft, in order to make space in the workshop for a Sedbergh wing. 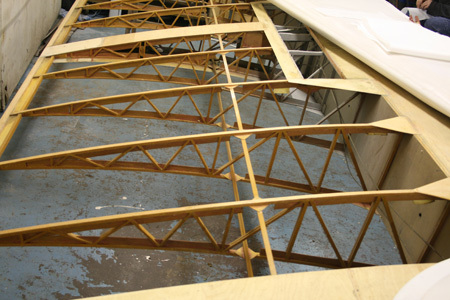 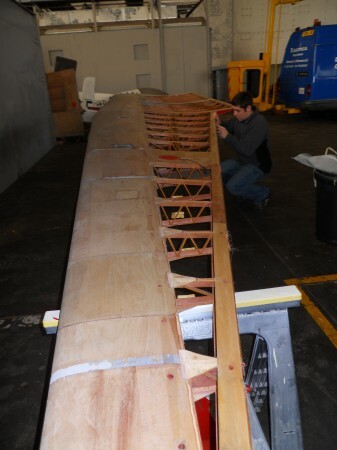 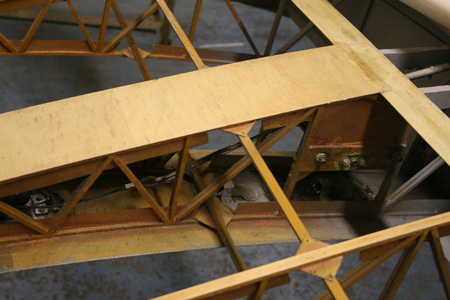 You don’t appreciate just how large they are when it’s rigged, or since Vicky and Oli stripped the wing last week, just how little the individual wooden components are that construct it. 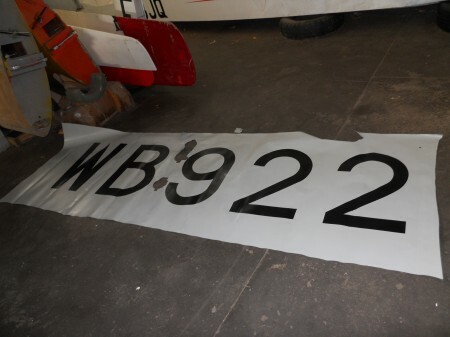 Once the heavy “manly” work was complete – we moved on to making some see-through patches for the manufacturers date labels are on each of the wings, tail, rudder etc. 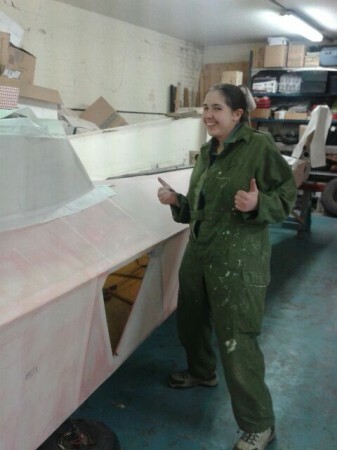 Sewing the section of see through plastic to a piece of Ceconite fabric was only made less “girlie” by having to drill holes into the plastic! 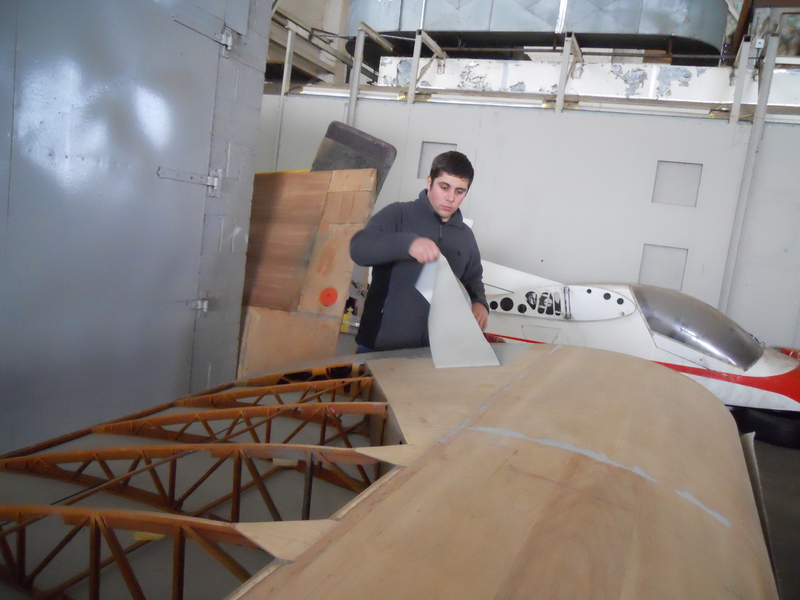 We made two, which we then fixed to the rudder and tailplane. 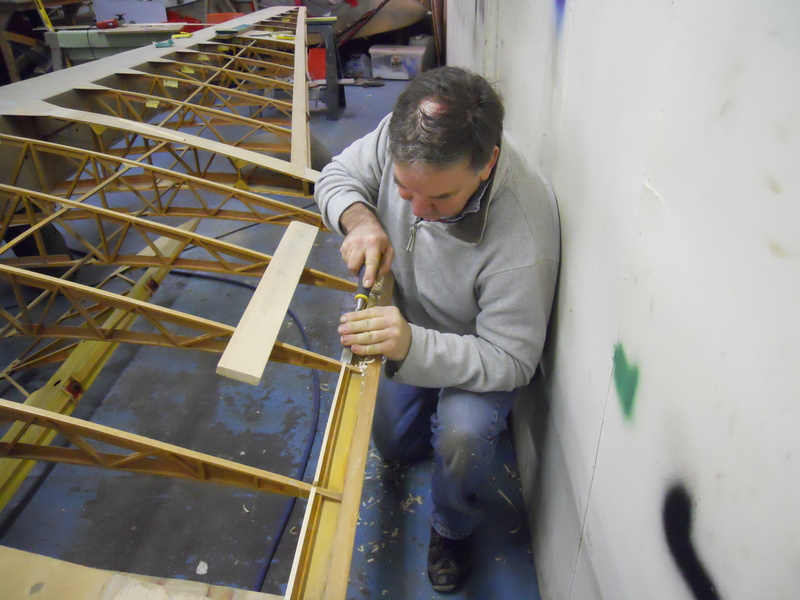 After lunch Dave handed us a stanley knife and pointed at the three cracks in the leading edge. 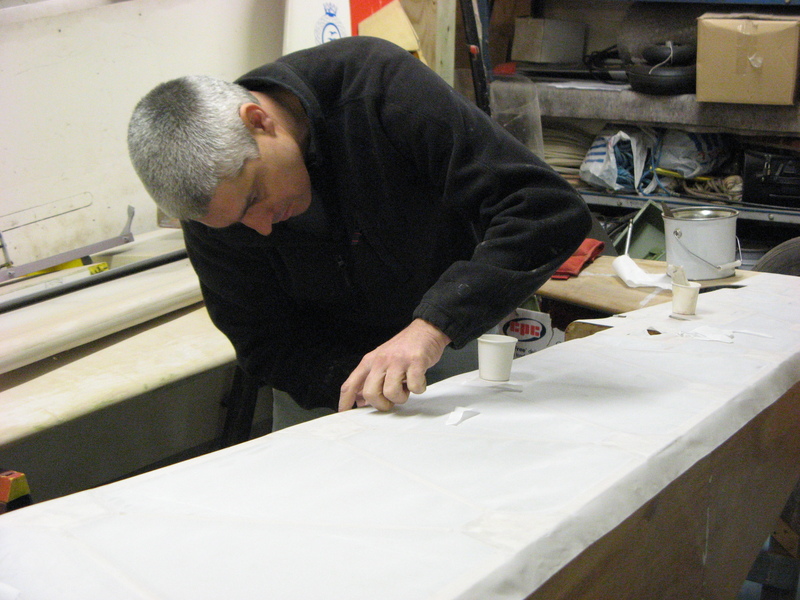 After a detailed explaination of the repair process, handed John a power tool (always a risk) and left us two it. 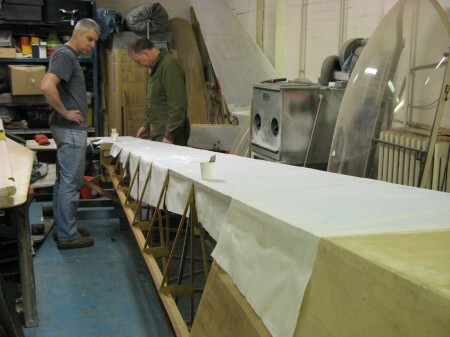 It felt wrong to start with, slicing at the leading edge, but we cut out the cracked sections of the 3 ply, 1/16th of an inch wood and shaped some timber to put behind in order to fix the new sections to. Oli Bourton and myself spent a few days at Bicester. 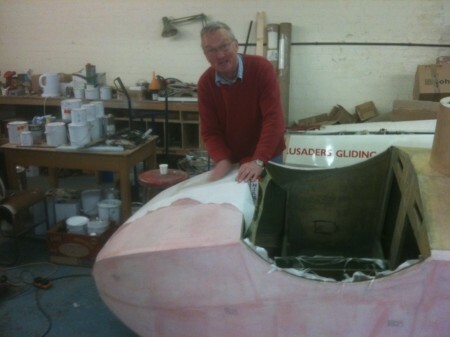 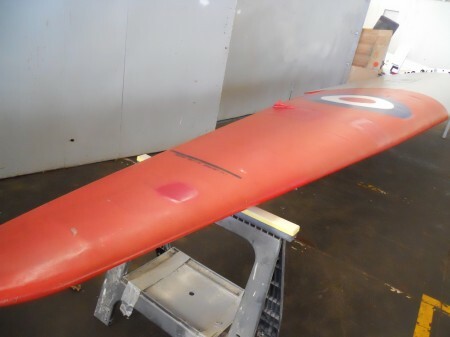 We have now re-covered the rudder and the tailplane, although the conversation of the week was as follows: Me-‘Dave, I think I’ve cocked up!’ Dave-‘What have you done now?! 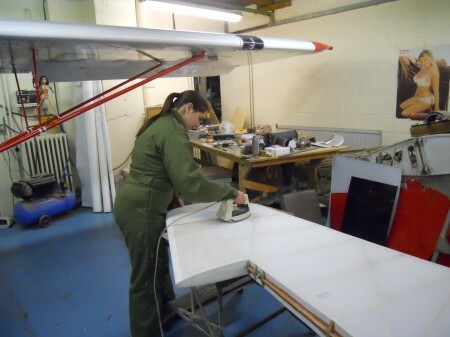 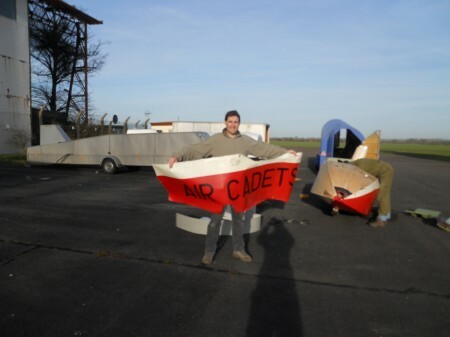 ?’ I must admit I never thought I’d ever have to iron an aircraft…. 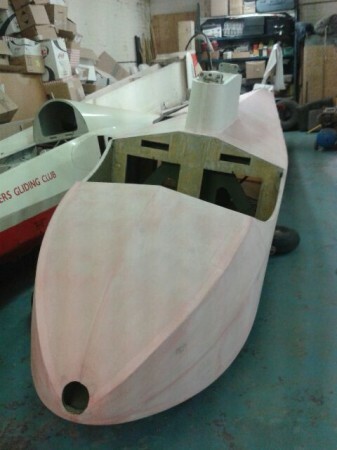 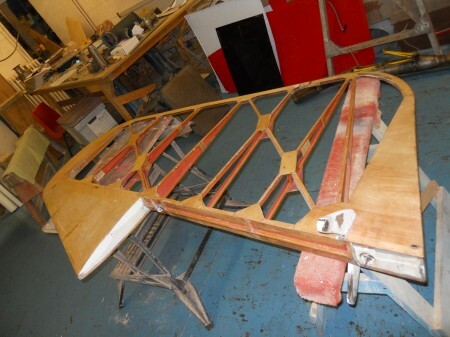 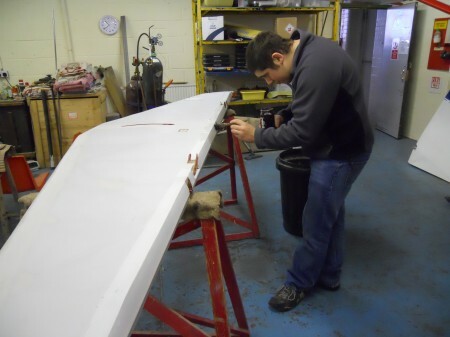 One of the wings has now been stripped ready for sanding, and we only found 3 holes in the leading edge! 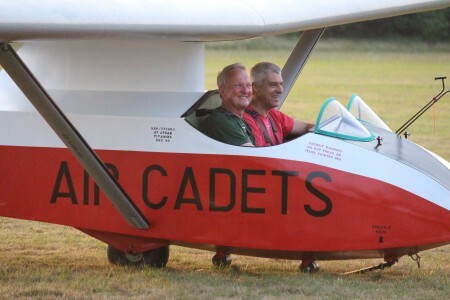 Bicester curry nights on Thursdays are good 🙂 Meet in the bar around 7, depart 7.15-7.30 ish. 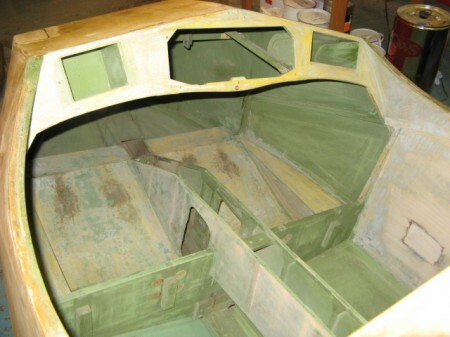 Anyone planning on staying over the bunkroom is available.